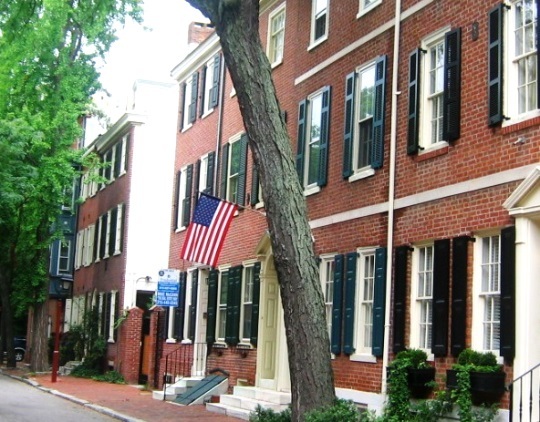 As Pennsylvania’s largest city, Philadelphia has no shortage of roofing companies. Looking for a roof contractor to do repair, installation, or replacement? You’ll find dozens of roofers from across the Philadelphia metro area in our directory. Upper & Lower North Philadelphia–including the neighborhoods of Fairhill, Glenwood, Northern Liberties, Allegheny West, Fishtown, Hunting Park, Brewerytown, Francisville, New Kensington, Fairmount and others–are home to a number of companies providing roof repair and other roofing services. My Philly Roofer provides all kind of roofing services throughout the Philadelphia area. They specialize in roof repairs including emergency roof leaks and wind roof damage. They also offer a range of roof-related work such as commercial and residential roof installation and replacement, preventative roof maintenance, carpentry and sheetrock work. Gary & Contracting is a home improvement company that provides a range of interior and exterior services such as kitchen/bath/basement remodeling, flooring, painting, plumbing, electrical work along with rubber and shingle roofing and chimney installation and repair. Also deck, siding, framing, masonry work and more. Weather-Tite Roofing is a family-run business with over 20 years of experience in the roofing industry. They offer a range of roof-related services to customers throughout the Pennsylvania, Delaware and New Jersey areas. Weather-Tile Roofing specializes in all kinds of roofing systems. Some of their services include complete roof replacement, roof repair emergency service, custom sheet metal work, gutter and downspout replacement, skylight installation and more. J&K Roofing does some commercial and residential roof projects including leaky roof repairs and new roof installation. They specialize in all types of flat roof systems, along with shingle roofing systems, ventilation and slate roofing system application. J&K Roofing handles clients in Philadelphia and surrounding communities. ROOF-MAX is a general contracting company providing roofing and siding services for commercial and residential customers. They offer a 24/7 emergency service, roofing installation, maintenance and repair along with siding, windows and door work. Specializes in residential and commercial general construction work for property exteriors. Services include roof repair and replacement, asphalt shingle, rubber and tar roofing, gutters, downspouts, skylights, siding, landscaping, grading, decking and more. 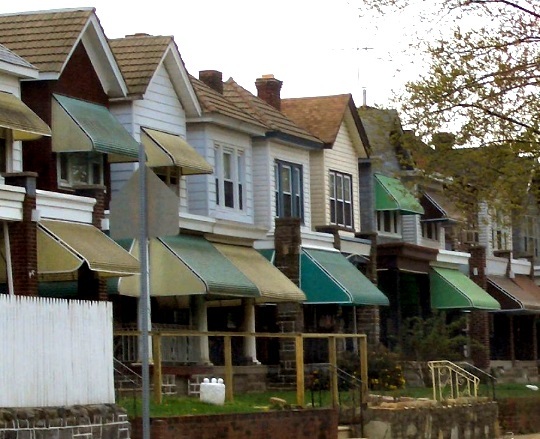 The large Northeast Philadelphia section is home to over two dozen roofers, located in neighborhoods including Kensington, Richmond, Bridesburg, Torresdale, Rhawnhurst, and Mayfair. City Wide Roofing specializes in leaking roof and damaged roof repairs caused by storms, tree damage from falling limbs, old worn out shingles, cracked and sun-damaged shingles, missing or damaged underlayment, improper installation or defective metal flashing. City & State Contracting serves Philadelphia, Bucks, Montgomery, and Southern New Jersey areas. They provide general constructing work: roofing, carpentry, remodeling, siding, window and gutters installation. Union Roofing Contractors performs commercial and residential work such as shingle, slate, tile, rubber, asphalt, metal, EPDM, TPO, and flat roof repair, restoration, replacement, installation and more. Picozzi & Son Siding & Windows is a family owned and operated business serving Philadelphia communities for over 30 years. They work on projects including vinyl and aluminum siding, roofing, capping, bargeboards, soffit systems, windows, doors and more. Emergency roof repair service also provided. Stable Roofing and Contracting specializes in new construction, repairs and replacements of residential and commercial roofing systems. Free roofing estimates. Intergrity Roofing specializes in storm, hail, water, fire, wind and debris damage roof repairs, along with commercial and residential roofing services, soffit and fascia repair and replacement. They also offer a variety of tile and metal roofs to choose from such as Eagle Solar Roof, Standard Weight Roof Tile, Cool Tile, Energy Saving Roof and more. C. R. Thompson Roofing provides complete roofing services such as flat roofing, hot asphalt, slate, tile, copper roof repairs, installation and renovation. Cheltenham Roofing offers roofing services throughout Philadelphia communities. Cheltenham does installation, repair and replacement of any type of roof along with siding, gutter and downspout work. JT Construction provides general home improvement services throughout Philadelphia communities. Their range of abilities includes roofing services such as roof repairs and new roof installation, painting services, masonry works, building repairs, storm, hurricane, tornado, flood, and earthquake repairs, plumbing and electrical works. Geno’s Siding & Roofing Company is a family owned and operated home improvement business, established in 2002. They undertake commercial and residential home projects including roofing, siding, windows and gutters works. Metal tile roofing, composite asphalt shingles, asphalt rolled granulated roofing services available. C & L Construction is a general home improvement company that provide a range of services including shingle replacement, storm damage roof repair, roof replacement, skylight installation along with kitchen, bathroom, basement remodels and renovation, room additions and deck projects. A. Brooks Construction is a roofing company that realizes a range of commercial and residential projects throughout Philadelphia, Delaware and surrounding areas. They offer a fully certified and professionally trained roofing crew. Some of their roofing services include roof repairs, roof replacement, roof leak repair, roof maintenance along with window, gutter, siding, and solar panel installation. Unlimited Roofing & Concrete offers different solutions for customers roofing and concrete needs. These include major roof repairs, new roof application, emergency roofing services, free roofing estimates and inspections. Bridesburg Roofing is a family-owned, licensed and insured roofing company that specializes in flat roofs. They offer 60 years of experience in roof-related services such as roof repairs, new roof installation, skylight and coating work, drains, spouts, gutters and drain cleaning projects while also offering free roofing estimates. Richard Hammond Contractors is a Philadelphia roofing company that provides a range of roof-related services such as shingle tear-offs, rubber roofs, hot roof and coating, detailed cleanup, vinyl, siding, gutter work and more. They also offer emergency roof repair services and free estimates. McGinnis Roofing has been serving Philadelphia communities for three decades and counting. They provide different roofing, window, siding, door and gutter solutions. Some of their roof-related jobs include roof leak repairs, new roof installation, roof replacement and more. Roof surfaces vary and include rubber, asphalt and slate. Brooks Roofing is a complete service roofing contractor company that offers new roof construction along with roof repair and maintenance. Brooks was established in the mid-1980s and since that time has served the Tri-State area. 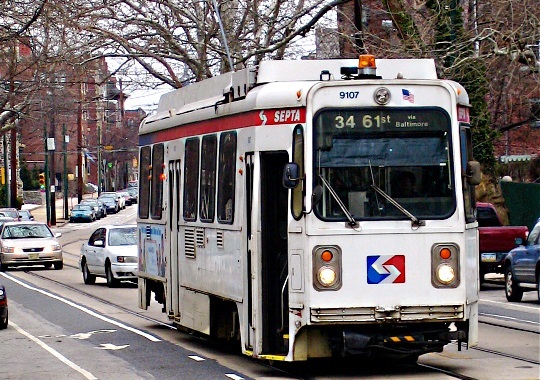 The area of NW Philadelphia includes neighborhoods and districts such as Germantown, Roxborough, Chestnut Hill and Manayunk. Murphy Roofing is a family owned and operated business that has been serving local Philadelphia communities since 1969. They specialize in roof repair services, new roof installation and roof replacement. They work with all types of roofs. The General Contractor is a home improvement and roofing company with over 30 years of experience in the industry. Some of the services and products they offer include roofing inspections, rain collection systems, roof installation, repair and replacement, gutter installation and cleaning services along with kitchen and bathroom remodeling, additions, restorations, carpentry, painting, siding, flooring, plumbing and more. Henkel Roofing has been providing roofing services throughout Philadelphia and surrounding areas for 30 years running. They specialize in commercial, residential and industrial projects. Henkel can do roof repairs, roof restoration, come to the rescue with a 24 hour emergency roofing service. They give free estimates and also undertake hot asphalt, shingle, rubber roofing and slate roofing projects. Roccia Roofing has been in the business for over 37 years. They proffer a range of roofing services including roof installation and roof repairs. Roccia serves Philadelphia and surrounding areas. Mastroni Brothers specializes in roof repairs, roof replacement, siding, gutters, window replacement, masonry, historical restoration and home restoration along with leaky roof repairs, metal roof replacement, reflashing, roof inspections, tile roof repair, replacement shingles and flat roof projects. The West Philadelphia section includes the neighborhoods of Spruce Hill, Cedar Park, University City, Squirrel Hill, Mill Creek, Walnut Hill, and others. Find a West Philadelphia roof repair company below. Trama Roofing hunts down hard-to-find leaks for residential and commercial roofing projects. Other roof-related tasks they take on include rubber, slate, shingle roof repairs, roof drains, spout and gutter work, chimney capping, roof coating, roof inspections and more. Free estimates. Handyman Express Services is a family operated general contractor active in Philadelphia and surrounding areas since the mid-1980s. They realize interior and exterior home improvement projects including commercial and residential roofing work–roof repairs, re-roofing, rubber, slate, shingle roof installation, fiberglass, complete roof rip-off work and much more. C W Roofing Enterprise is a family business fulfilling roof-related projects for over half a century. They focus on roofing and roof repair for flat roofs, metal roofs, shingle roofs, tile roofs, and aluminium roofs. Skylight repairs, leaky roof repairs, roof tune up and maintenance services also available. Relatively few roofers are found in Center City and surrounding districts of downtown Philadelphia, including areas such as Logan Square, Society Hill, Rittenhouse Square, Washington Square, Chinatown, Midtown Village, and others. Reiter Roofing is a roofing company that works on all types of flat roofs, slate roofs and shingle roofs along with doing custom metal and carpentry related to roofing. Main services including wood/metal cornice repairs, slate, metal, rubber, shingle roof repairs, gutter system and skylight installation, vinyl siding, decking, historic restoration, millwork jobs and more. Rosenello’s Windows is a family owned firm undertaking roofing work for over 2 decades. They offer a range of services such as roofing, siding, windows, doors and commercial work. Some of Rosenello’s roof-related projects include new roof installation, roofing repairs and replacement. Roof Repair Experts carries out roof work for commercial and residential customers in the Greater Philly area. They provide a range of roofing services including fixing roof damage caused by tree falls, storms that blow away tiles, roof leaks, patches caused by mold and more. Roof Repair Experts provide a fully certified and insured crew. Discount Roofing is a Philadelphia general construction company with over 3 decades+ experience in the roofing business. They work with any type of roof systems including three-tab shingles, algae resistant shingles, tile shingles, hot tar roofs, architectural shingles and more. They also fix roof repair problems caused by wind, rains, overflowing gutters, defective siding and windows, chimneys, attic fan leaks, condensation build-up, solar energy panels, flashing problems, and rotten wood. D A Virelli is a long-running general contractor serving Philadelphia communities for over 80 years. They specialize in such roofing types as modified bitumen, rubber roofing, asphalt shingles and torch down roofing. They also provide roofing installation and repair services for commercial and residential clients. This is a commercial and residential roofing company that carries out a range of services such as roof repairs, roof replacement of shingle, metal and flat roofs, emergency roof repairs and more. Free roofing estimates available as well. Northern towns and suburbs of Philadelphia include Willow Grove, Glenside, Warminster, Warrington, Southampton, and others. Find a roofer north of Philadelphia below. C & C Family Roofing and Siding is a family owned roofer doing an array of roof-related services including roofing, siding, gutters and window work for commercial and residential customers. 1866 Fix My Roof executes residential, commercial and industrial projects such as roofing repair services, roof replacement, roofing design and more. They accommodate any kind of problem with same day service for most repairs. Free estimates and consultation available. Accurate Roofing and Siding Unlimited implements a wide selection of general construction work such as roof replacement, new roof installation and roof repairs. They specialize in shingle roofing, roof ventilation systems and flat roofing. Styles of shingles they provide includeCarriage House Luxury, Symphony Slate, Grand Manor, Presidential Shake, Certain Teed’s Highland Slate and Traditional shingles. GP Home Improvements takes on all kinds of home improvement jobs such as roofing, siding, gutters and framing. Their roof-related jobs include fixing damaged roofs, new roof installation and re-roofing. GP Home Improvements operates in Philadelphia and surrounding regions. Roofing companies operate in and around Philadelphia’s western suburbs and towns, including West Chester, Newtown Square, Media, Brookhaven, Malvern, Exton, Wallingford and others. All Roofing Solution is a commercial and residential roofing contractor company carrying out a range of services including roofing installation and replacement, roofing repairs, gutter installation and repair, windows, door, and siding installation. They work with shingle, slate, flat/low, metal and wood shake roofs. Roof leak repairs handled by All Roofing Solution include leaky skylight repairs, chimney flashing repairs, vent pipe repairs or wind damage repairs. Emergency roof service also available. Roofing contractors in the Philadelphia area. Nocella Roofing undertakes a variety of roofing projects in Philadelphia, Eastern Pennsylvania and New Jersey. Tasks they handle include fixing roofs, new roof installation, roof replacement, leaky roof repair, gutter cleaning and more. Customer types include both commercial and residential. Roofsmith takes on new roof installation, repairs, coating, gutters, skylights, rubber jobs and more. 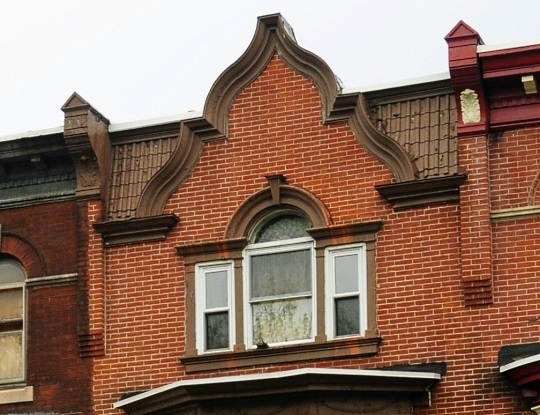 Castelli Roofing is a family-run Philadelphia roofing company that specializes in historical roofing along with terracotta roofing, slate tile roofing, historical board requirements and copper jobs. Their scope of roof-related services include rubber, slate, shingle and tile roof installation, roof repairs, gutter and downspouts work as well as free roof estimates and inspections, and general construction projects. Castelli provides fully insured and certified roof contractors. A Plus Roofing & Contracting is a roofing business which services residential and commercial customers. They are fully insured and licensed with over a decade of experience doing roof-related work. Roofing jobs include commercial and residential roofing installation, replacement and repairs, rubber and shingle roofing maintenance, skylights, gutters, downspouts work and more. MR Roof Pro is a small family owned roofing company. They handle all kinds of roof-related works including shingles, modified rubber, metal roofing, hot asphalt roofs, fixing roofs, new roof installation and emergency services along with siding, windows, gutters, doors, downspouts and more. MR Roof Pro takes care of customers in Greater Philadelphia and surrounding areas. These businesses do commercial roof projects in the Philadelphia area (along with other roof-related jobs). Four Seasons Roofing and Siding specializes in residential and commercial projects to accommodate any needs. They offer flat, foam, single ply roofing repair carried out by certified roof contractors. Four Seasons has serviced customers in Philadelphia and surrounding locales since 1999. Abel Roofing fulfills commercial and residential roofing projects. They provide services to the Tri-State area of Pennsylvania, Delaware and New Jersey. They handle jobs including tear-offs, new roof installation, roof repairs, fixing wind storm damage, along with downspouts and gutters installation. Abel Roofing has been active for 3 decades-plus in the roofing industry. Free estimates offered. Roofworks Construction takes on residential and commercial tasks, realized by skilled and certified roofers. They undertake all types of repair work, roof removal, roofing replacement, gutters, gutter cleaning, siding, drain box and pipe replacement, shingle and rubber roof jobs, coating installation along with construction, snow removal and chimney services. Roofs ‘R’ Us is a complete service roofing company working with Philadelphia homeowners for 20-plus years. They specialize in commercial and residential projects including roofing, windows, siding, door and gutter installation, roof replacement, repair and renovations. Roofs ‘R’ Us provides a fully licensed and insured crew. Also performs emergency roof repairs. Cooper Roofing accomodates residential and commercial projects including new roof installation, re-roofing, and roof leak repairs, for home owners, real estate agents and insurance claims. Roof inspection services offered as well. Fahey Roofing offers roofing, siding, window and door services. Their roofing crew will handle any type of roof-related task including rubber roofing, skylight, coating, aluminium coating, roof vents, downspouts, aluminium capping, shingles and more. Free roof estimates available. J Hurst Roof Consultants works with low slope roofing, steep slope roofing and offers roofing repair services throughout Philadelphia. Affordable Roofing is a Philadelphia roofer taking on commercial and residential projects including roof replacement, roof repair and installation of new roofs. DVC Roofing has been in business since the mid-2000s. They accomplish a range of roof-related jobs, such as repairs of shingle, slate, cedar, metal, copper, EPDM and TPO roofs along with new roof installation and re-roofing services. 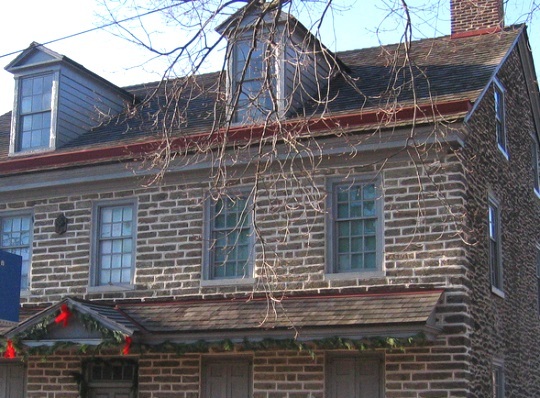 John Roccia’s Family Roofing has been serving Philadelphia and surrounding areas since 1973. They offer roof-related services such as roof repairs, fixing leaky roofs, shingle roofs, and rubber roofs, Free roofing estimates. North American Roofers specializes in roofing, carpentry, slate work of all types, frame services, hip roofs, pavilion roofs, saddle roofs, new roofs, re-roofing, pitched roofs, metal roof covering, and chimney renovation. They work with any material and type of insulation. These roofing companies are located in the Greater Philadelphia area, but have New Jersey addresses. Paul J. Rys Roofing specializes in commercial, residential and industrial projects. Some of their services include roofing repairs, re-roofing, new roof installation (slate, tile, metal), roof drains, coatings, roof maintenance, stone and brick pointing, steel and wood deck replacement, waterproofing work and more. Paul J. Rys also offers emergency roofing services. Cambridge Exteriors specializes in roofing repairs (excessive granular loss, shingle repairs, curling shingles), remodeling, roof replacement, new roof installation, storm damage repairs, insurance claims, roofing inspections and much more. A & J Custom Home Remodeling is a full general home improvement company undertaking work for customers in Philadelphia and South Jersey for over two decades and counting. They realize all kinds of projects including home remodeling, interior bath and kitchen projects, additions, new home construction and roofing jobs such as repairs, replacement and new roof installation. A number of roofers can be found in the greater Philadelphia area in neighboring states of New Jersey, Maryland and Delaware. Here are two located in Maryland and Delaware. G. Fedale Roofing & Siding is a family run firm doing asphalt, cedar, metal, slate, flat, and shingle roofing installation along with roof repairs such as fixing hail damage, blown off shingles or siding, leak damage and other related problems. Free roofing estimates and storm damage analysis. Maryland Shingle has been servicing roof customers for over a quarter-century. Maryland Shingle specializes in roofing, siding and windows including installation, replacement and repair projects. Free roofing estimate service available as well. Looking for a roofer to do a quick repair in emergency circumstances (storm damage, leak repair, etc)? Here are a half-dozen roofing companies in the Philadelphia area who do emergency repair work. These aren’t the only emergency roofing contractors of course, see our main Philadelphia roofer page for more. Universal Roofing & Contracting serves Philadelphia and surrounding areas. They offer a range of roof-related services such as roof leak repair, emergency services, new roof installation and replacement. They work with cedar, metal and asphalt shingle roofs. Downspouts, shutters, siding, skylights, sun tunnels, doors and window work also done. C & S Roofing Contractors offers fast emergency service and free estimates as well as executing residential and commercial roof projects, doing roofing repairs, new roof installation and replacement. A wide selection of general contracting services also in their purview. Weather-Tite Roofing Company is a family owned and operated business with over two decades of activity in roofing. They accomplish all kind of roofing projects including new roof installation, roof repairs and complete roof replacement (modified bitumen, built-up, asphalt shingle, slate, tile, metal), custom sheet metal work and more. Weather-Tite also provdes a 24/7 emergency roof service. Fischer Roofing Contractors is a locally family-owned business active in the roofing industry for 3-plus decades. They specialize in commercial, residential and industrial roofing services such as repairs, maintenance, tear downs, and replacements, along with free estimates and emergency service. Apple Roofing specializes in slate, tile, cedar shingle, copper and rubber roof replacement and repairs along with emergency and post-storm roof repairs, historic building preservation, and evaluation of systems. Roof inspections and estimate services also available. Best Buy Roofing performs installations and repairs of roofs. They handle any residential roof type such as clay tiles, concrete tiles, asphalt shingles and single ply systems. Emergency leak service and emergency roof repair service also available. Searching for a Philadelphia metal roofing company? The following Philly-area contractors do metal roof work, among other roofing services. This list is by no means exhaustive, see our main page for other metal roofers in Philadelphia. ACG Roofing & Sheet Metal Contractors has been in the roofing business for over 3 decades. They specialize in commercial and residential work such as slate, tile, rubber, copper, shingle roof installation and repairs, hot asphalt and metal roofing system application, seamless gutters, custom drain boxes, solar vents, siding and more. Twenty-four-hour emergency service available. William Wismann Roofing is a full-service Philadelphia roofing company with over 65 years of experience. They offer slate, tile, metal and asphalt roof repairs as well as gutter, spouting, skylight projects. Vinyl siding available in all colors, seamless aluminum gutter installation and more. Roof Gurus is a family-owned and operated company, established in 2001. They provide a range of roofing services to Philadelphia and Southern New Jersey customers. They specialize in all aspects of roofing such as flat, cedar, shingle, metal and rubber roofing installation, repairs, replacement, silver coating, flashing installation, repair and replacement. Free estimates. Fast Roofing & Siding offers quality roofing services for residential and commercial homeowners for all kind of roofs including tile, shingle, cedar, flat or metal. Roof installation, replacement, repair and free estimate services available. A.H.Dawic & SON is a family owned business established in 1939. They specialize in commercial and residential projects such as cedar, shingle, asphalt, slate, tile, copper and custom metal roofs along with roof restoration and repairs. Home siding, vinyl siding, cedar siding, fibre cement siding and more available. Looking for a Philadelphia-area contractor to work on or install a slate roof? These Philadelphia roofing companies offer slate roof work among their services. Liberty Roofing By James is a locally owned and operated business that offers a wide choice of roofing services and materials. Roofing solutions include residential, commercial and industrial projects, new roof installation, roof repairs, rubber roofing, hot asphalt roofing, shingle and slate roofs, gutter and downspout work and more. O’Donahue Family Contractors is capable of doing work related to flat roofs, rubber roofs, shingle roofs, slate roofs, roofing repairs and restoration, new roof installation, roof decking, sheet metal work, exterior carpentry work, gutter systems, skylights, barge board and fascia work, vinyl siding work along with flooring, complete renovation, cabinet replacement, snow removal and more. Francis X. Adams & Sons is a family-run business present in the roofing industry since 1957. They specialize in roofing, siding, gutters, doors and windows. Roofing services include repair, maintenance, cleaning and installing modern roofs along with silver coating and roof cleaning work. Francis X. Adams & Sons installs and repairs shingle, flat, slate, sheet metal, tile, and PVC roofs (and more). Russell Roofing was established in the early 90s as a family owned company. They offer full roofing services such as residential and commercial roof repairs, re-roofing and new roof installation. Russell Roofing fixes any type of roof, which includes common materials like asphalt, slate, tile, metal and wood shake. Services rendered by skilled and certified roof contractors. Edgar’s Contractors is a fully licensed and insured roofing company that has been providing services in Philadelphia and beyond since 2003. Roofing tasks they take on include repair of standing seam metal roofs, asphalt shingles, slate, cedar shake or EPDM along with siding installation and repairs, gutter, downspout, window work and more. Looking for a rubber roof company in Philadelphia? These roofing firms perform work on rubber roofs among other surfaces. Giannini & Sons Roofing is a family-run third generation roofing company, providing a range of roof-related services throughout Philadelphia and surrounding areas. They offer shingle and rubber roofing installation, replacement and repairs for residential and commercial customers. Universal Roofing and Contracting specializes in commercial and residential projects. They offer a range of roof-related services such as roof repair and replacement, roof inspections, guttesr, downspouts, soffit, fascia, siding, windows and door projects. They accommodate customers needing roof repairs, roof coatings, shingle and rubber roof system installation, ventilation systems and much more. J.M. Grove Construction specializes in interior and exterior general home construction such as roofing, siding, skylights, additions, decks, railing, columns along with bathroom, kitchen and basement remodeling projects. Roof-related tasks executed by JM Grove include new roof installation, replacement and repairs of roofing shingles, flat roofs, rubber roofs, metal roofs and standing seam metal roofs. Seal Roofing offers all types of roofing services including commercial, residential, rubber, shingle and modified system applications along with free roof estimates, emergency repair services, custom metal, siding and skylight work. GPHI Home Remodeling carries out roof repairs and installation of shingle, metal, wood shake, flat and rubber roofs. They also take on remodeling, siding, gutter and deck projects. Free roofing estimates.